Many Bloggers prefer running Google ads on their websites, blogs, forums etc. and I must say Google AdSense is really worth the partnership. I wan't to share my personal experience on how to get AdSense approval for website and blog either hosted on Blogger or WordPress. This worked for me and I decided to share the tips with you guys,. It is easy simple and demands no special attention even for a new blog. If you observe carefully, you'll discover this site game4android is just two weeks old and already has AdSense ads running. Your blog and website can aswell get approved fast all you need is to apply the basic principles. People ask the question of how to get Google AdSense approval in 1 minute, that is not possible. AdSense needs to examine your blog to see if it meets their requirements. But you can get AdSense approval within 3 days. Have you applied for Google AdSense over and over and still they give you the same reply? I will be revealing other factors to be considered when applying for AdSense. Getting a Google AdSense approval fast is possible, you don't need to try over and over to. Google AdSense doesn't take much time reviewing sites any longer, in just two days you can get the congratulatory reply. Many Bloggers want a quick approval and yet ignore the basic tools to achieve that. Before we proceed I want to correct some thoughts about Google AdSense. Many bloggers think WordPress blogs get quicker approval than blogger blogs. That is NOT true, WordPress sites and blogger sites have the same 50:50 chance of getting Google approval. In fact, Personally, I think Blogspot blogs get quicker approval. If you were not getting AdSense approval, don't blame it on your blog! Since we've understood, the statement below tips will help you get the Google Ads running on your blog. This is an easy way to get AdSense approval without delay, niche tries to tell your readers your blogs specialty. AdSense cares about your readers and therefore points every thing to their benefits. For a new blog, you need to focus on a particular niche and after getting your approval, you may choose to divert to other niches. For Instance, Game4Android was only a gaming blog, during the time of Adsense Application but on getting approved I decided to turn it to tech and gaming site. Choosing a Niche makes your site professional. Your content now plays a great role in determine your approval. Infact, 60% of your blog's approval depends on the content. When writing your content, make it easy for your readers and thoroughly edit resources fetched from other sites. Use online writing tools to check the Readability Status of your Content. WordPress dashboard has the readability gauge already installed. I review my Blogspot post using Hemingway Editor, blogs hosted on blogger can use it too. Avoid copy and paste as it will be difficult to get AdSense approved on such blog. If your Niche violate the copyright policies, AdSense will not approve your site. Even if you get AdSense from any other source, Google AdSense will still ban both the AdSense account and the blog. Google takes copyright policies serious, make sure your niche is free from any form of violation especially copyright. Some niches that usually get AdSense ban include Entertainment, Movie, Music and Games (Some). As long as you Niche violates the copyright policies you can't work with Google. This is also where people fail to consider but indeed plays a great role. Visitors should be able to navigate your blog to get the resource they seek easily. This is where the blog theme is important. When choosing your theme/template, don't just uploaded because it is pleasant to the eye. Ensure readers can easily move around your blog either on WordPress or Blogspot to get the resource they search. Remember, no matter the SEO trick you are trying to apply, you are writing for human readers. Don't let your SEO trick get in the way. Write post of at least 350 words. Use the right Heading tags, H2, H3 and H4 at the right time. Give credit to images gotten from the web or download the image and brand them. Checkout our images for example. Remove other Ad Networks on your blog including AdSense. Put a social media sharing button at the bottom of the article. Many people think AdSense verification process is a lot easier in some country. I won't dispute that but what would happen if as an Indian you get a US AdSense or as a Pakistan blogger gets a UK AdSense. You'll get banned in a short while after your IP Address has been discovered to be from a different country. Then you'll loose the AdSense account and can't work with AdSense on that blog. Whatever country you belong, Nigeria, India, Pakistan, U.S.A, U.K, etc. 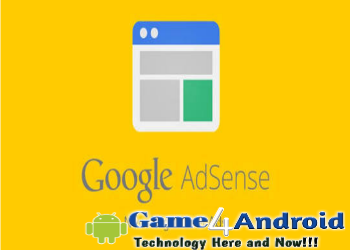 You can get google AdSense approval easily. Many People ask how to get AdSense approval without website, that I think is not possible except for YouTube. You need a blog or website to run the adverts after getting the ads. I have shared my own experience, I hope it works for you too. Need assistance? Just leave a comment. I love this post. Keep up the great work!